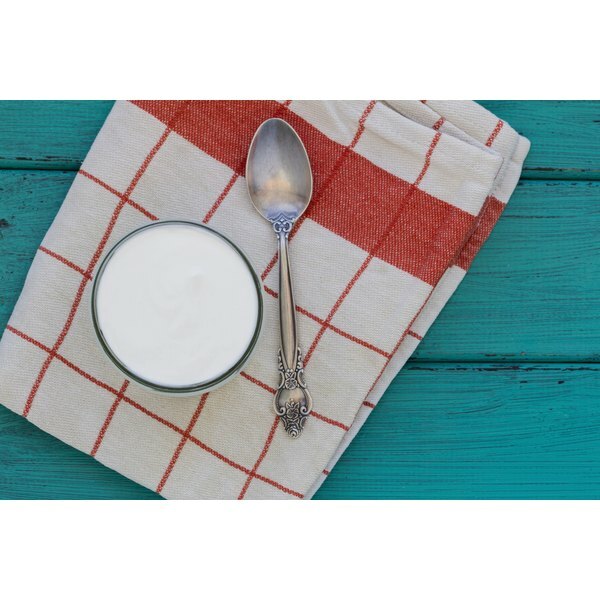 Lactobacillus rhamnosus GG is the most extensively studied probiotic microorganism available for sale in retail markets, according to USProbiotics.org. Probiotic microbes are good for you. They confer positive health benefits when consumed live, either in fermented foods like yogurt, or as supplements sold in capsules at health food stores. Lactobacillus rhamnosus GG has been shown to have numerous positive effects on health. Your body naturally contains vast numbers of beneficial bacteria that actually protect your gastrointestinal health. These bacteria, called normal flora, live in your intestinal tract, occupying space that could otherwise be overrun by harmful pathogens. Live beneficial bacteria that are found in foods and supplements are called probiotics. By consuming probiotic foods, such as those containing Lactobacillus rhamnosus GG, you transfer beneficial bacteria to your intestinal tract and put them to work for your health. Not all probiotics offer the same effects. The health benefits of probiotics are strain specific, meaning that different types of probiotic microbes affect your body differently. Lactobacillus rhamnosus GG is a specific bacterial strain. Lactobacillus is the name of the genus to which it belongs. Rhamnosus is the name of the species. GG denotes the strain. Even something so slight as a different letter or two in the spelling of its name can mean that your probiotic is a different strain and may not have the same effects. Lactobacillus rhamnosus GR-1, for example, is different from Lactobacillus rhamnosus GG, and confers different health benefits. Numerous studies have confirmed the effects of Lactobacillus rhamnosus GG on human health. According to a study published in May 2008 in the “World Journal of Gastroenterology,” it can alter the blood lipid profiles and may be helpful in treating diseases associated with inflammation. It has demonstrated effectiveness in treating a condition called pouchitis, which can occur after colon surgery, as noted in a study published in March 2003 in “Alimentary Pharmacology and Therapeutics.” Additionally, a study published in April 2008 in “Annals of Allergy, Asthma and Immunology" suggests it may be helpful in preventing and treating atopic eczema. Consult your doctor before taking probiotic supplements. Probiotic dosages are listed according to the number of live bacteria, or colony forming units, per dose. Read the labels on your probiotic products in order to determine the correct dosage.